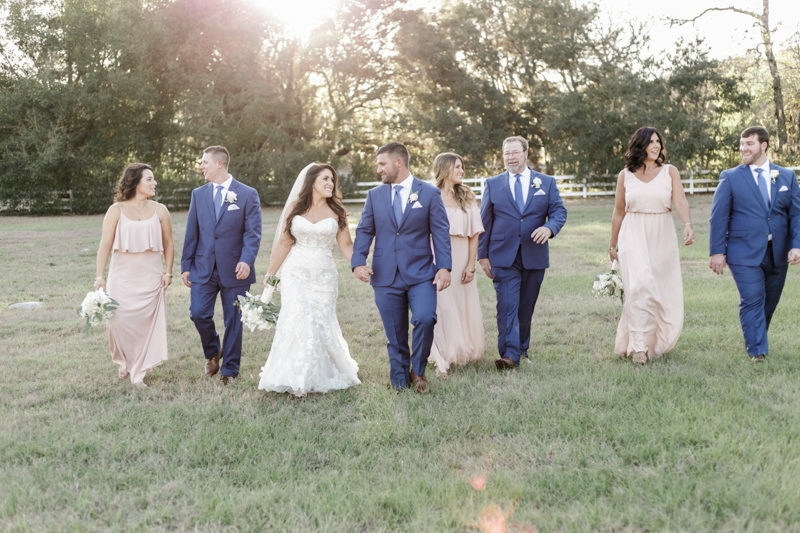 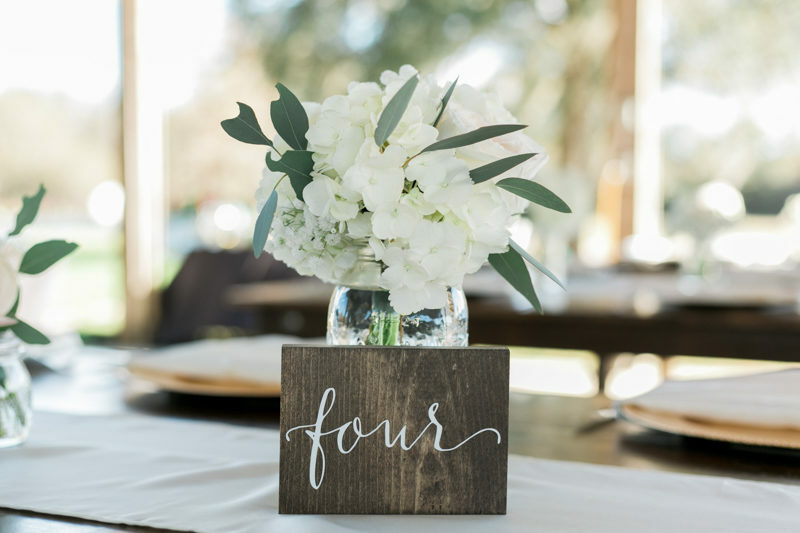 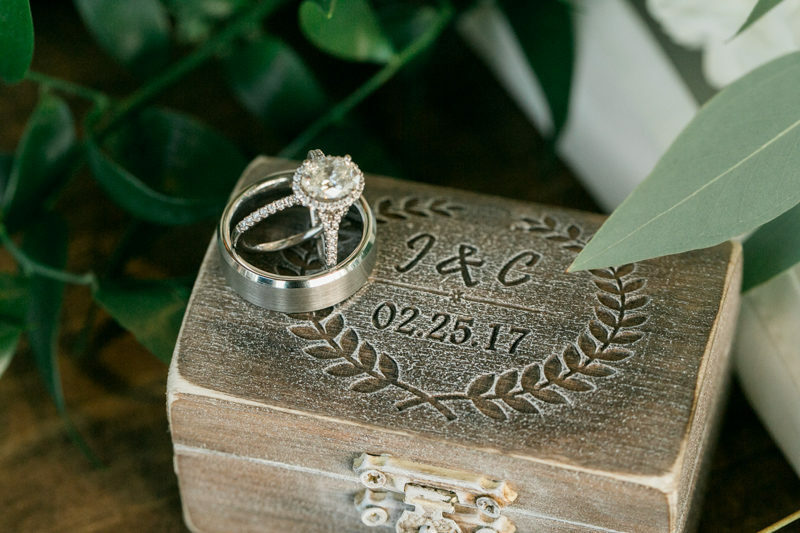 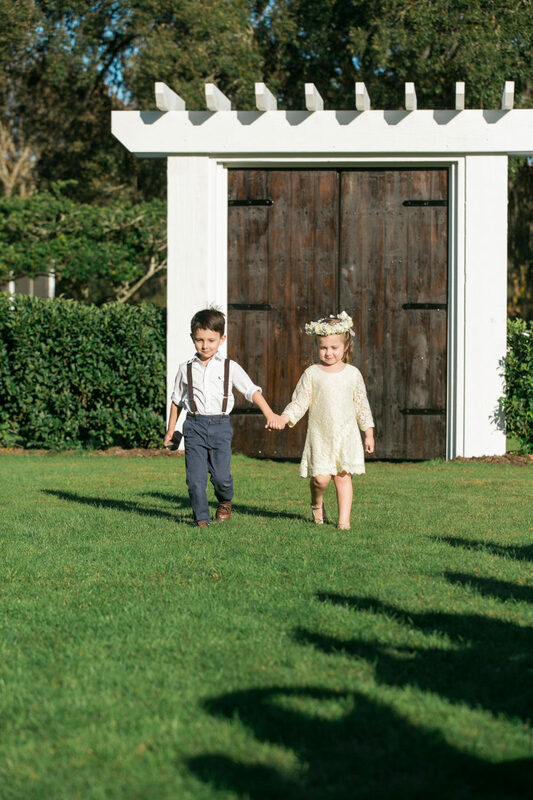 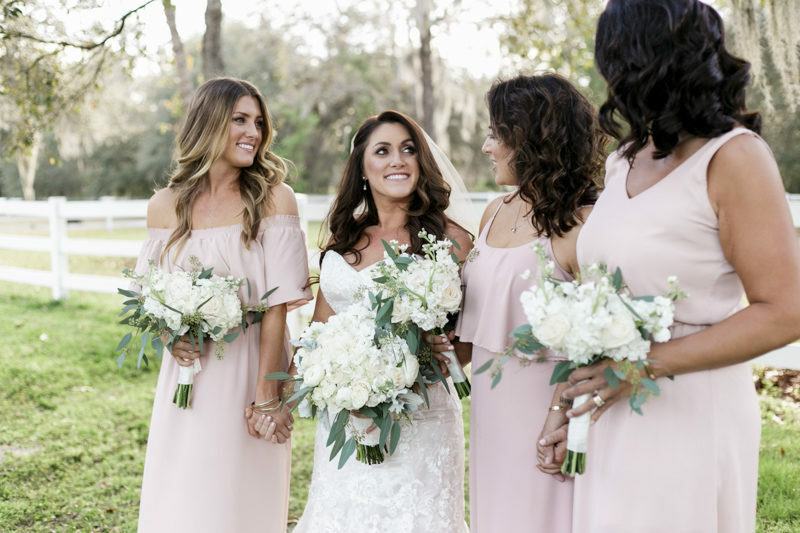 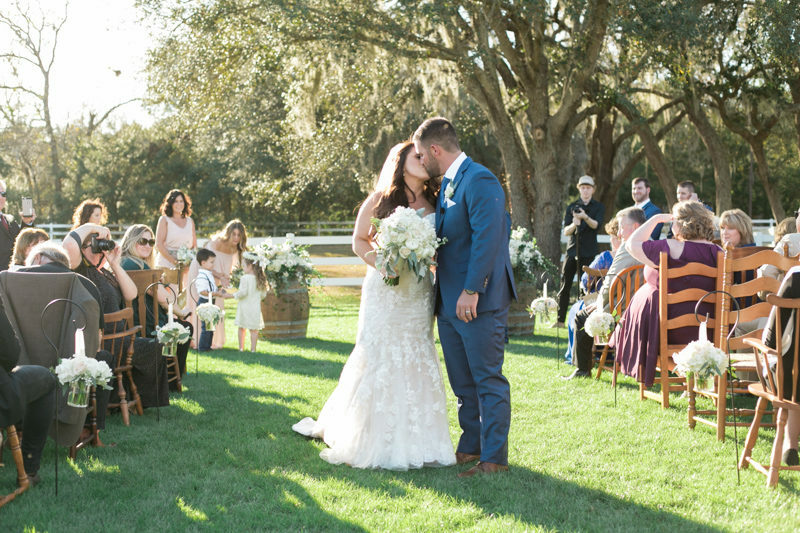 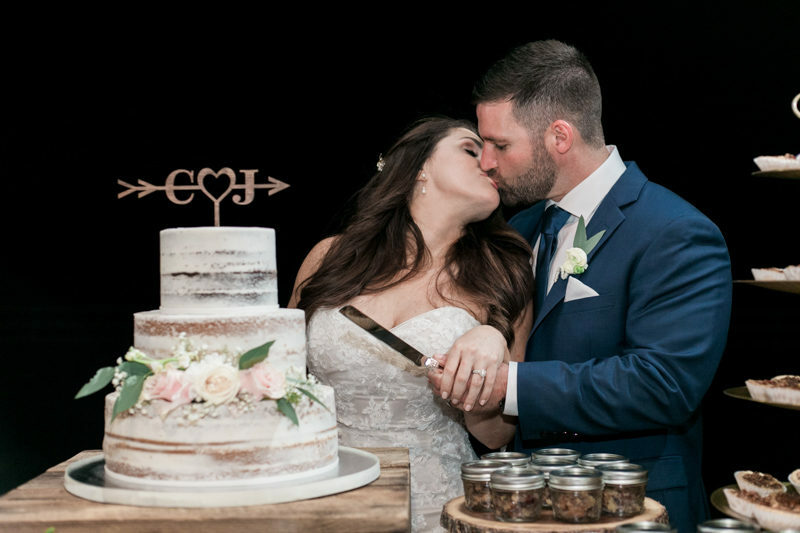 Bramble Tree Estate is the perfect backdrop for a modern rustic wedding, and Cristan and Jordan's special day was bursting with pretty details to match. 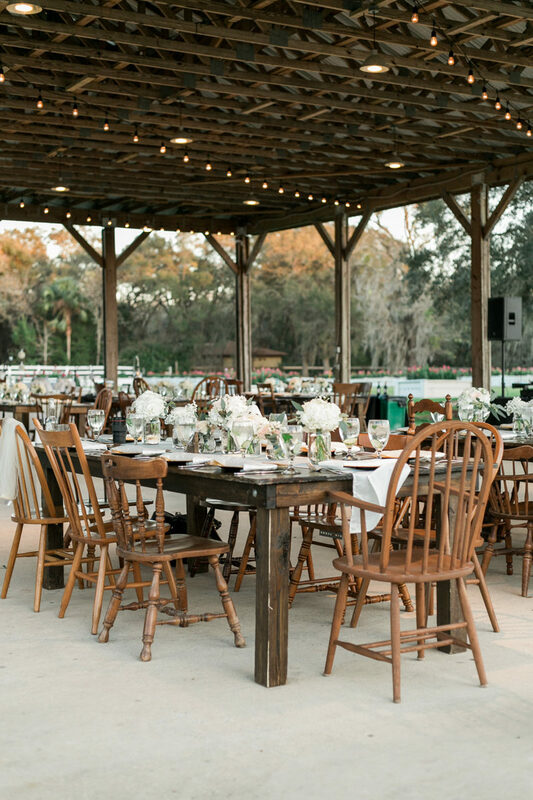 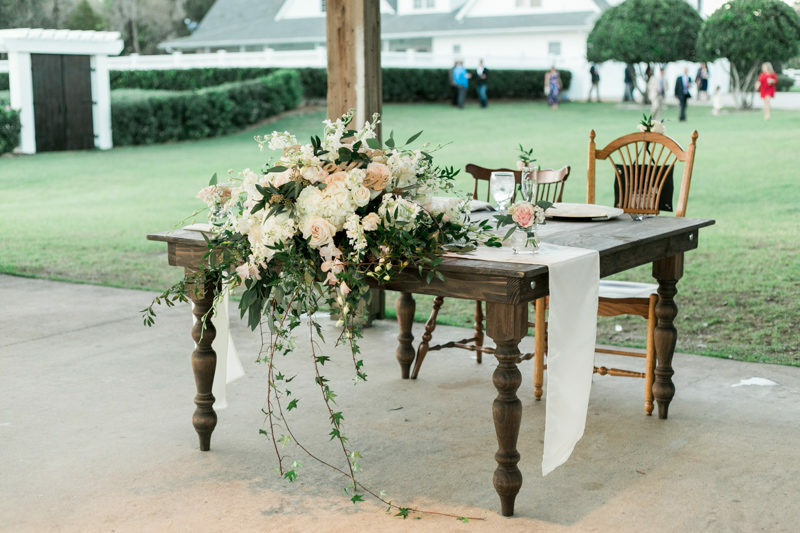 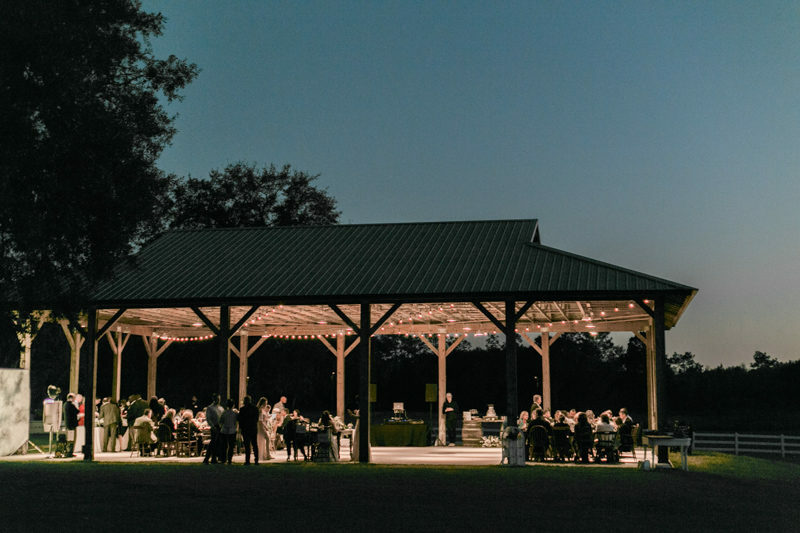 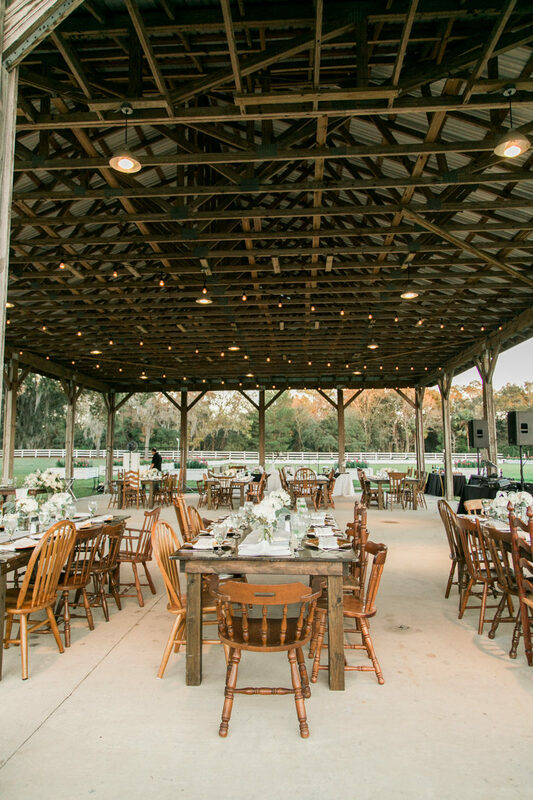 Barrels, wooden doors, and repurposed window frames complemented the venue's ambiance. 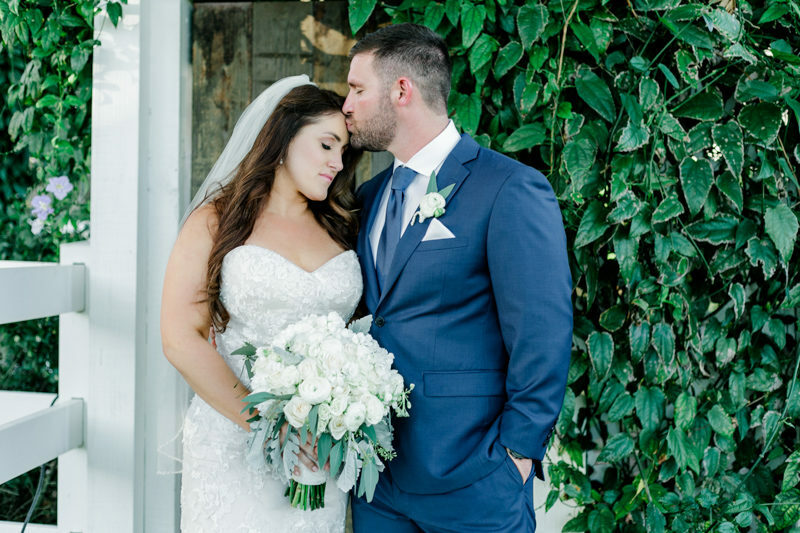 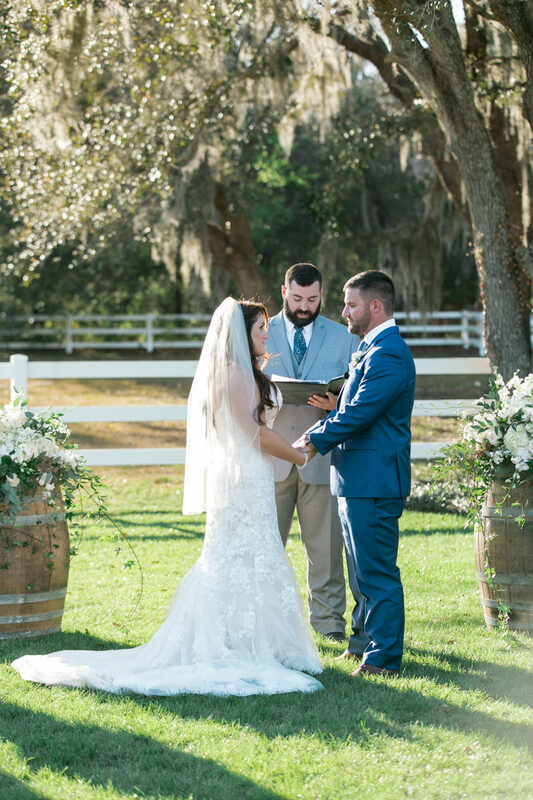 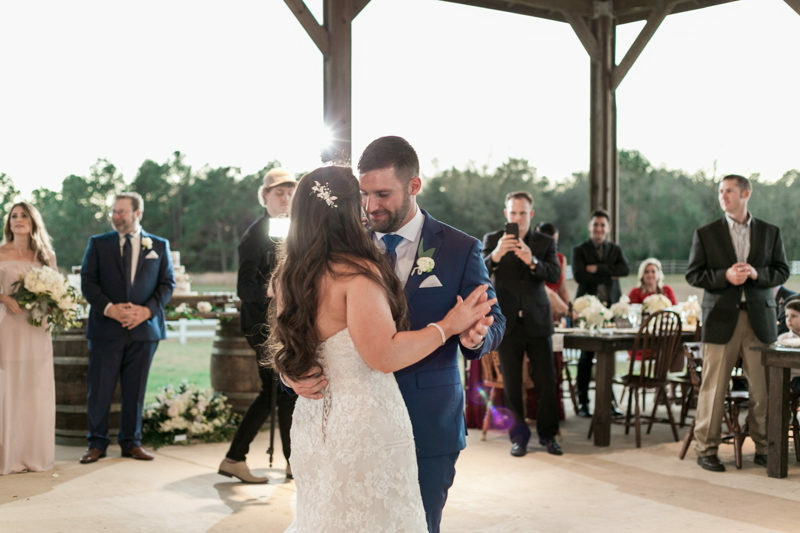 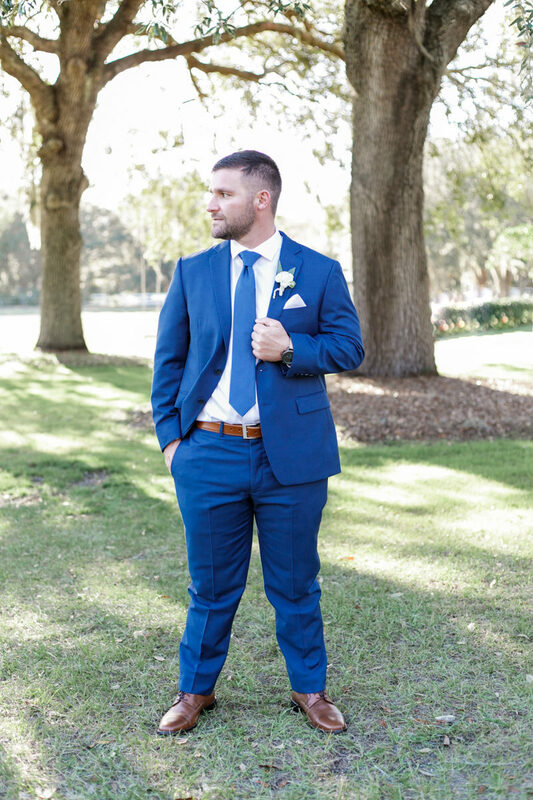 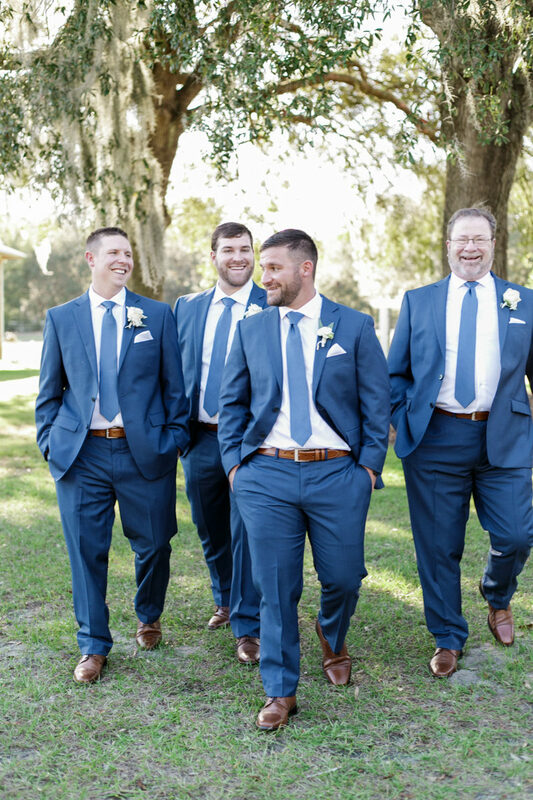 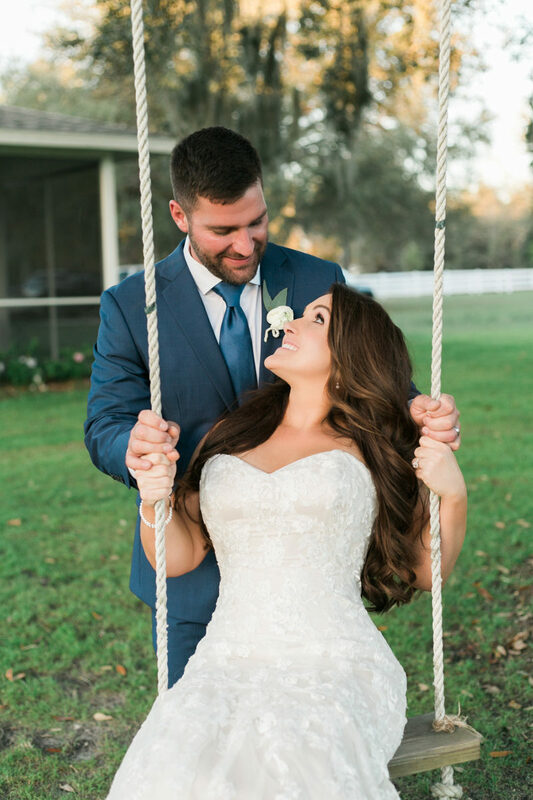 While Jordan looked sharp in a blue suit, Cristan's wedding day look was soft and elegant. 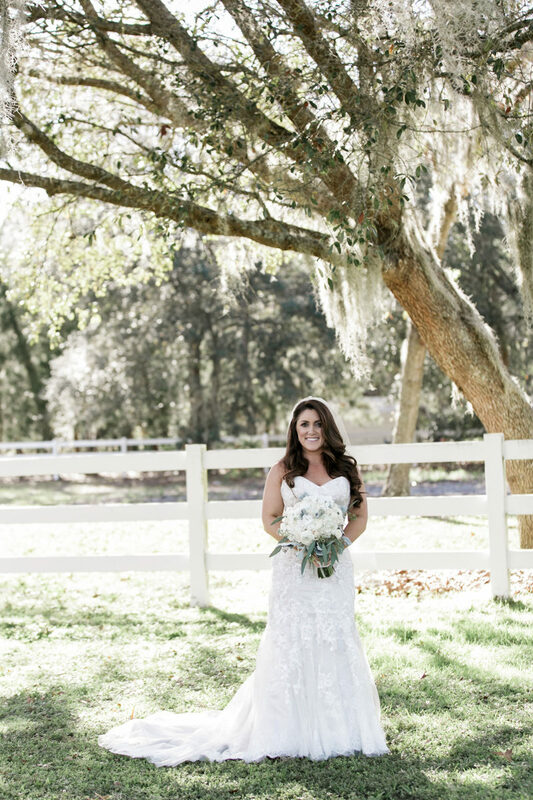 She looked beautiful in a fitted lace dress and a pearl bracelet, and her hair fell in loose waves. 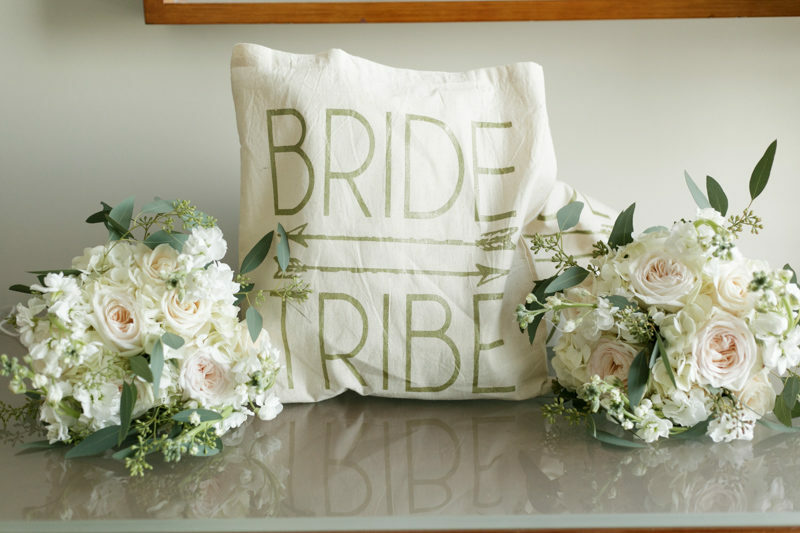 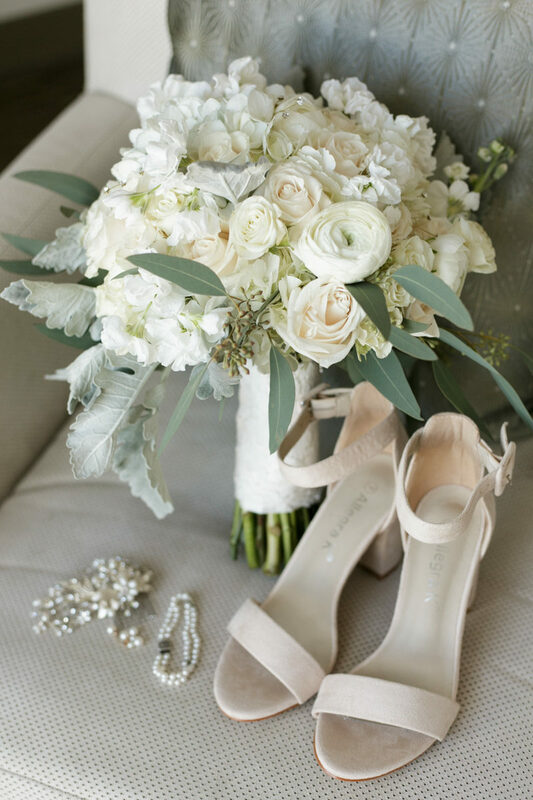 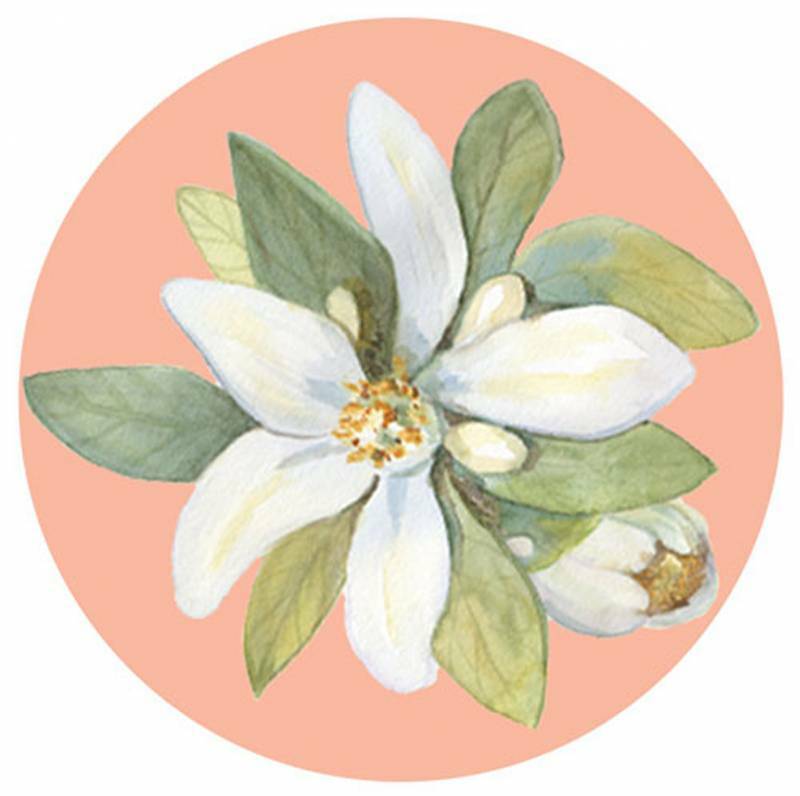 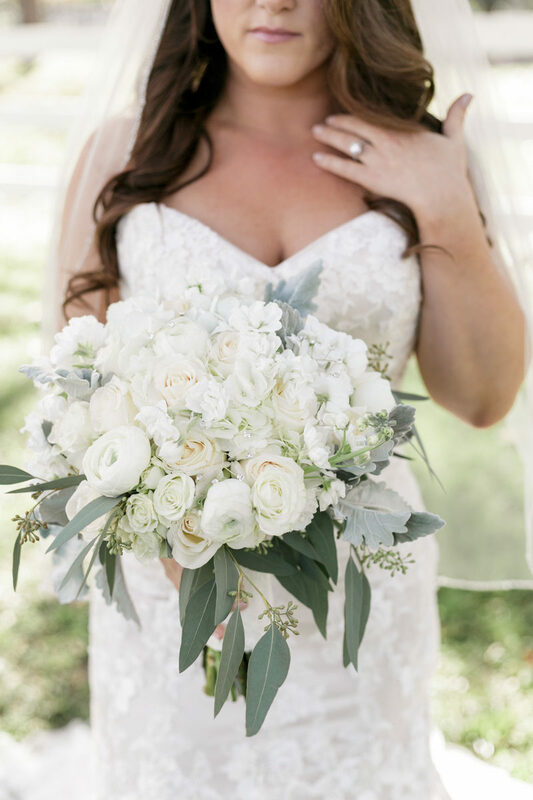 White and green florals with just a touch of blush filled the bouquets and lined the aisle. 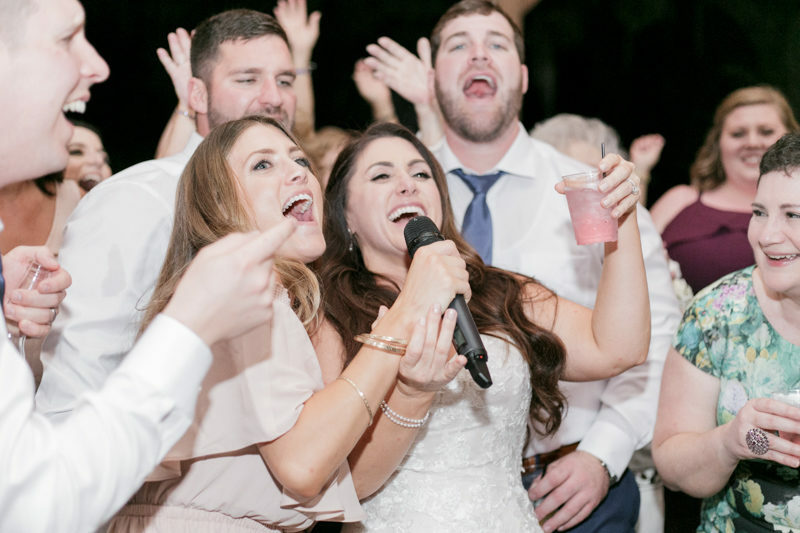 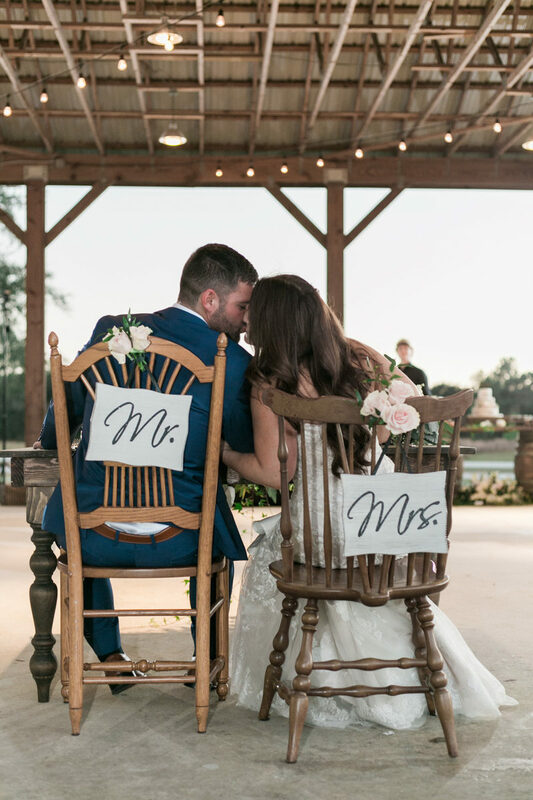 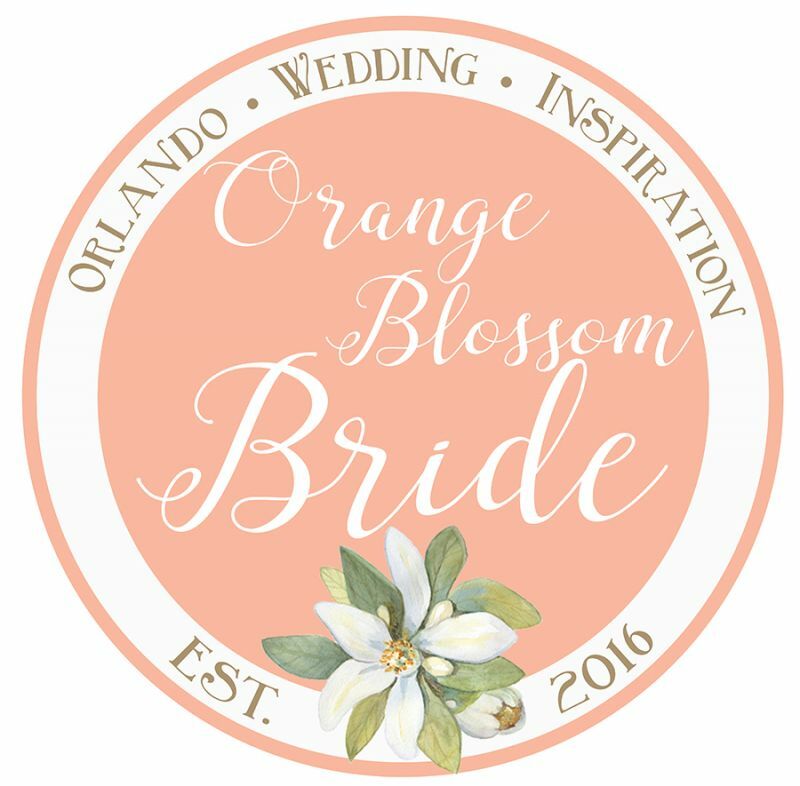 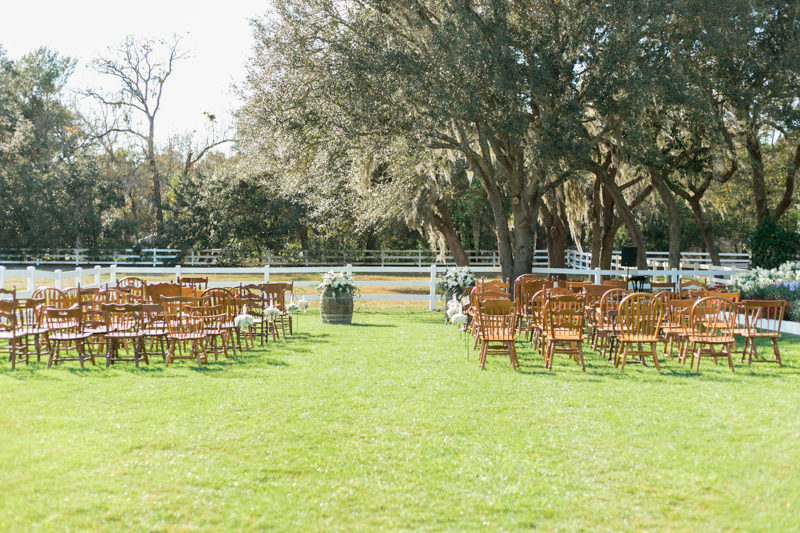 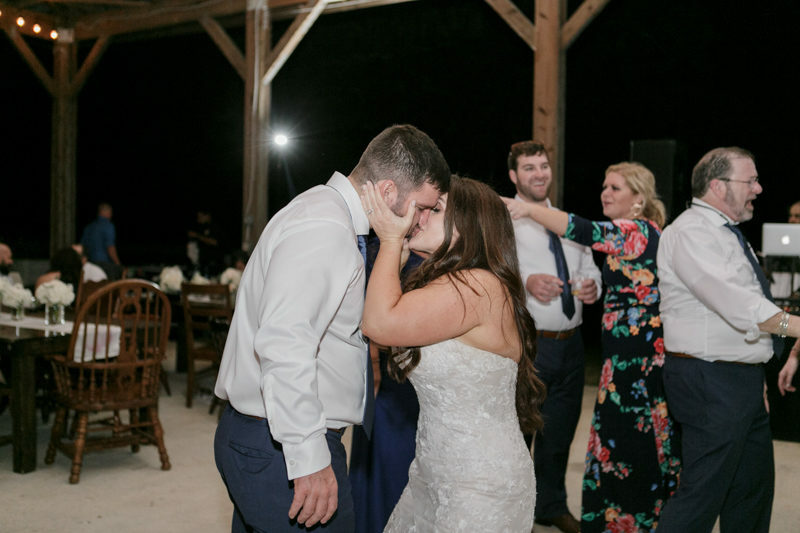 Guests watched the happy couple become husband and wife from rows of mismatched wooden kitchen chairs, and then it was off to the reception! 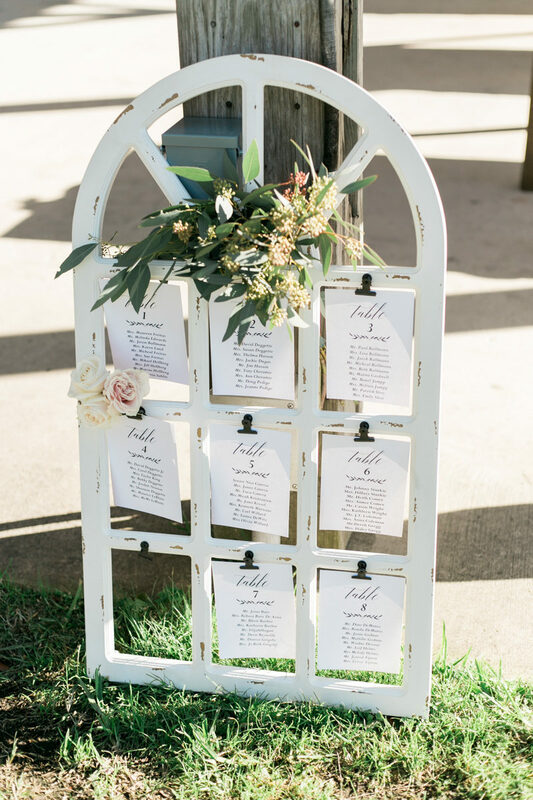 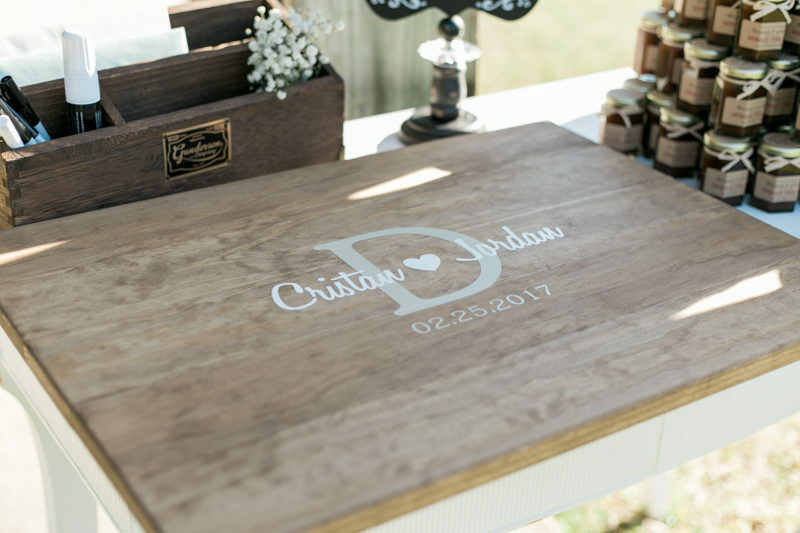 Cristan and Jordan's dual purpose guest book also serves as stylish home decor they can display for years to come! 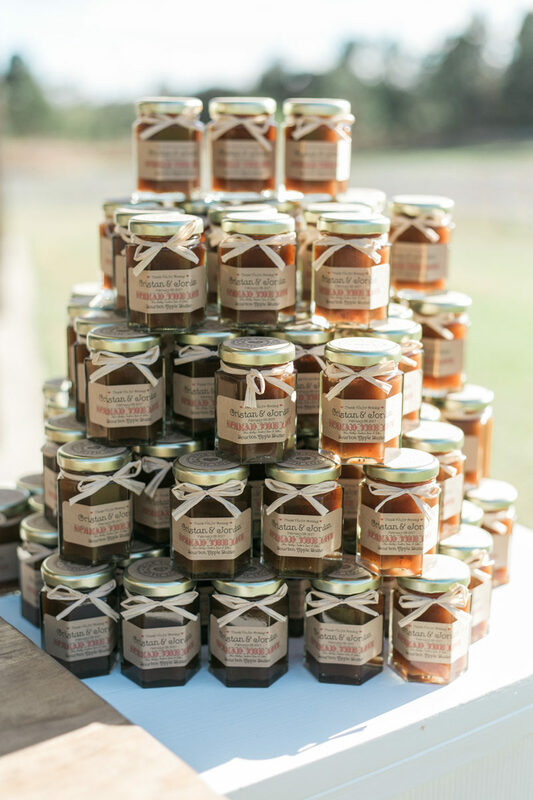 Each guest received a jar of delicious bourbon apple butter as a favor. 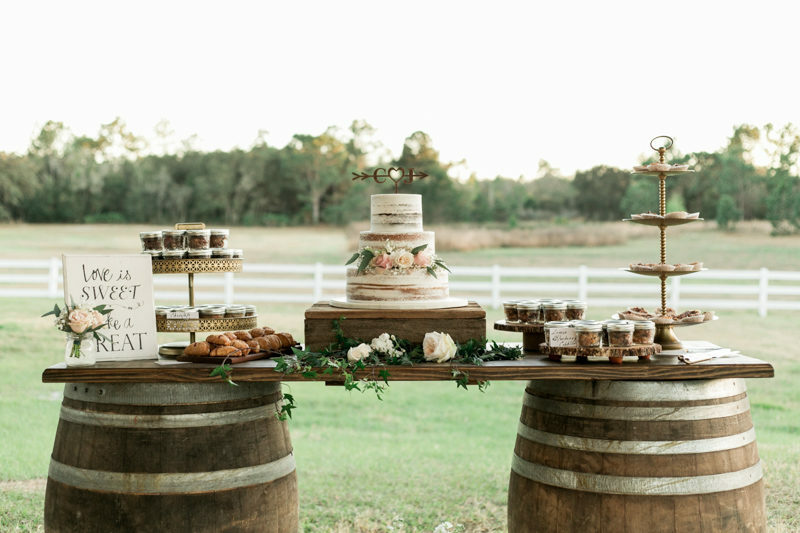 Dinner was served at family-style wooden tables, and for dessert, a buffet of sweet treats sat waiting to be devoured. 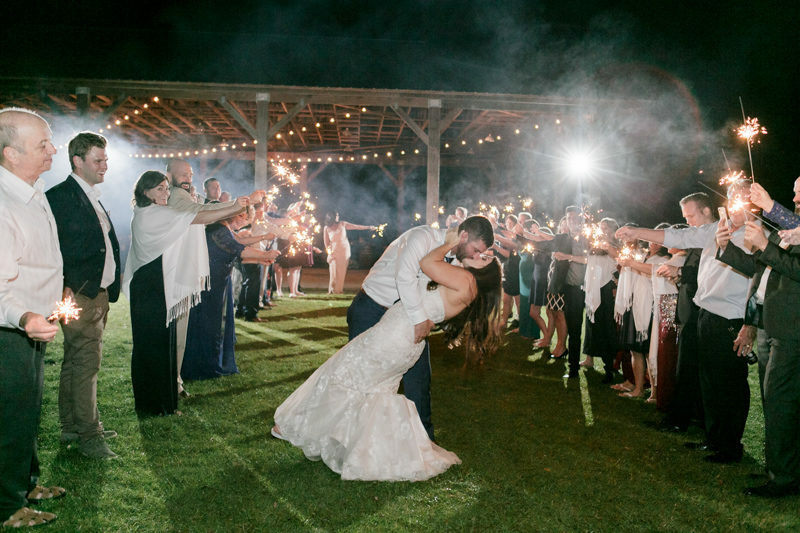 There was plenty of fun to be had on the dance floor before the newlyweds finished the night with a sparkler exit!